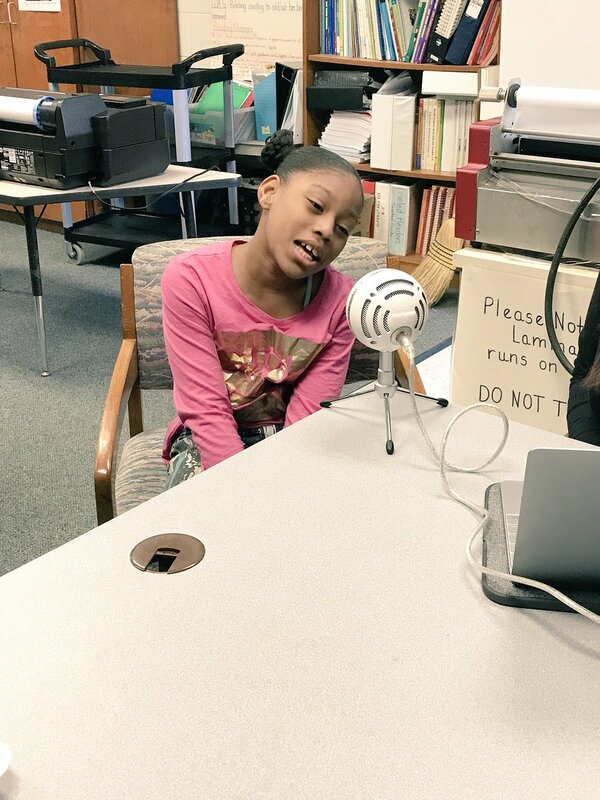 Podcasts are more popular and prolific than ever, and the educators at Stough Magnet Elementary School in Raleigh wondered how they could be used in the classroom. Better still, could creating a podcast become a useful learning tool itself? 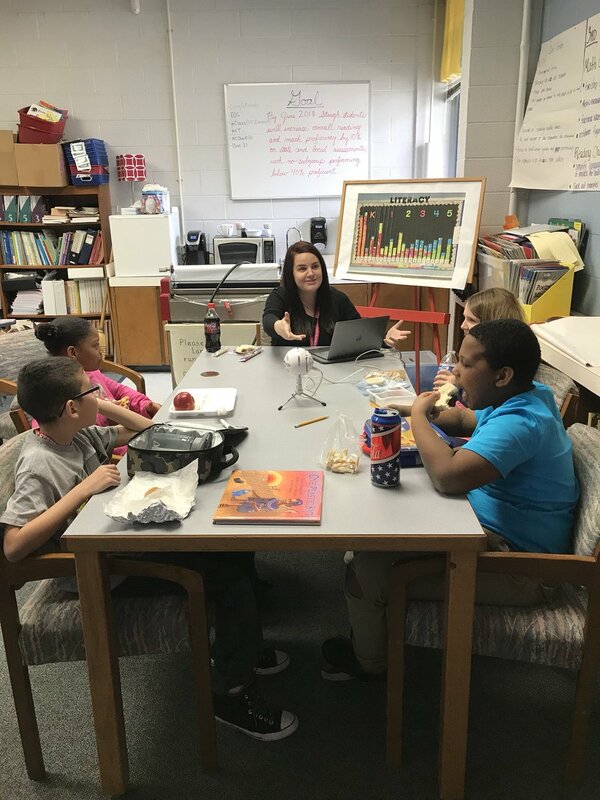 Sough Magnet Elementary is a Chinese language immersion magnet school that offers its students a global studies perspective, which includes daily instruction in Mandarin and English. Several of its faculty speak more than one language and have lived outside of the United States. A large part of the curriculum focus at Stough encourages students to reach beyond their classroom walls to the world around them. It seemed like a logical fit for their students to create a globally-themed podcast. 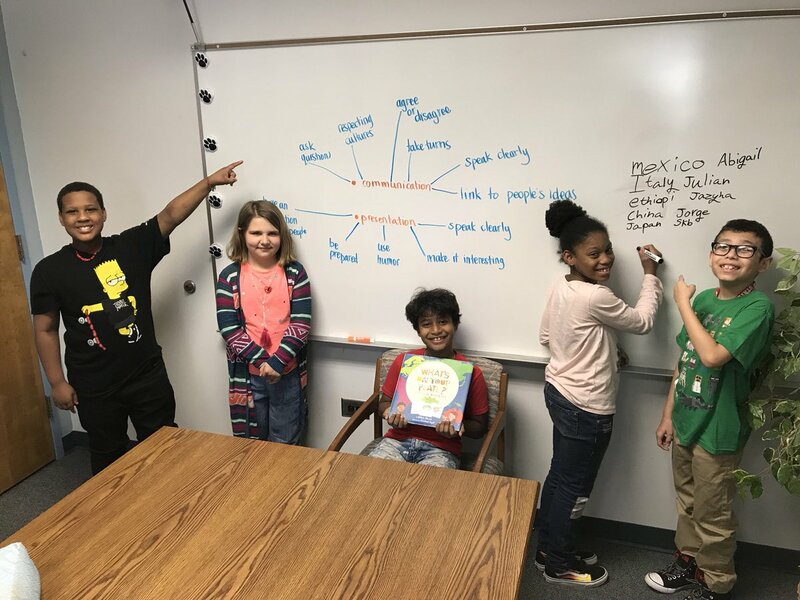 The goal of their project was to develop a public podcast that aligned with K-5 curriculum, but would also promote effective communication among students and help Stough’s highest need students discover a passion for reading. The idea of creating a podcast is simple: turn on any recording device, talk, and upload that recording to iTunes or a similar service. Could it be that easy? “In order to get started, we first needed to see what a real podcast recording looked like.” Jordan explained. Stough staff, including principal Chris Cox, traveled to the Wake Forest Area Chamber of Commerce for one day in February as part of WakeEd’s Link program in Spring 2018. 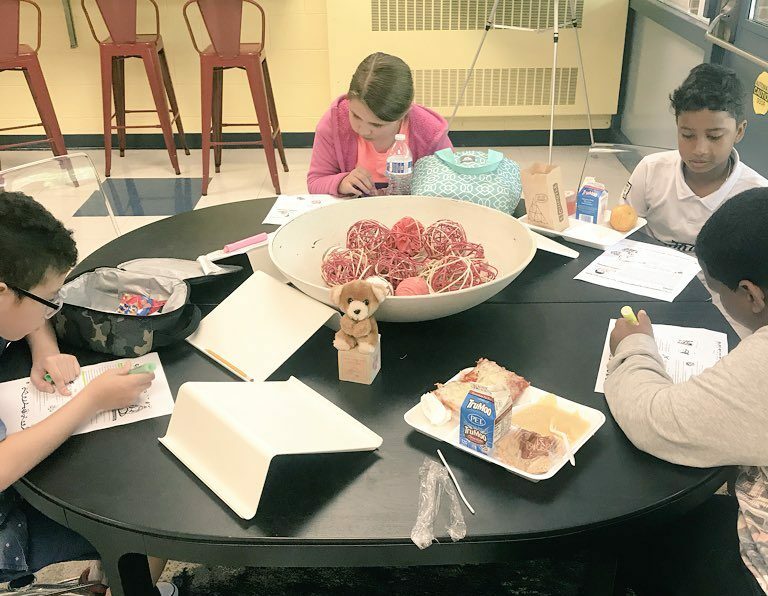 Link is designed to pair schools with businesses around a defined need, and although these school-business relationships are forged during one of our biannual Link events, they are built to last. 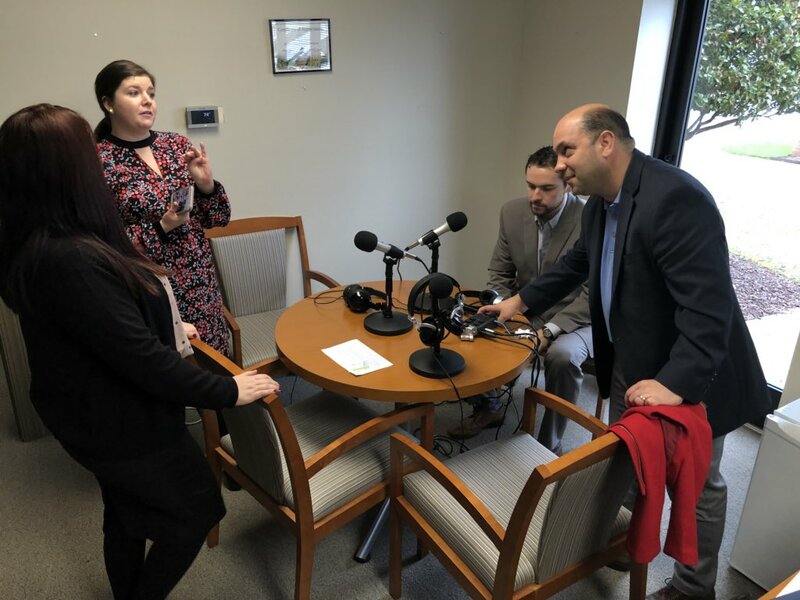 In this case, Stough wanted to start a podcast, so they were linked with Chamber President Ann Welton, who produces a weekly podcast about local businesses called Open For Business. 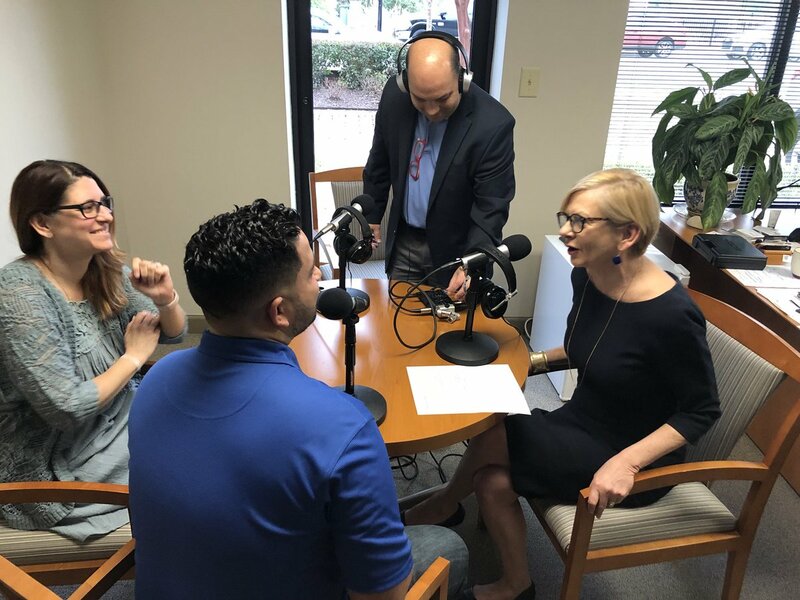 Welton records the podcast at the Chamber offices in Downtown Wake Forest with the help of Andres Quintana, an optician-turned-podcast entrepreneur. Quintana works primarily with small business owners to provide a service which includes all necessary equipment, recording, and sound editing. While Quintana was setting up the equipment, which included a high-quality recording device, microphones, and headphones, it looked like cost might be an impediment to getting started. Just the opposite is true, Quintana told Stough staff. A laptop and an inexpensive microphone is plenty to get started and those were already available to the school. Once ready, Welton went straight to work. She had three interviews lined up that day; all small business owners in the Wake Forest area. 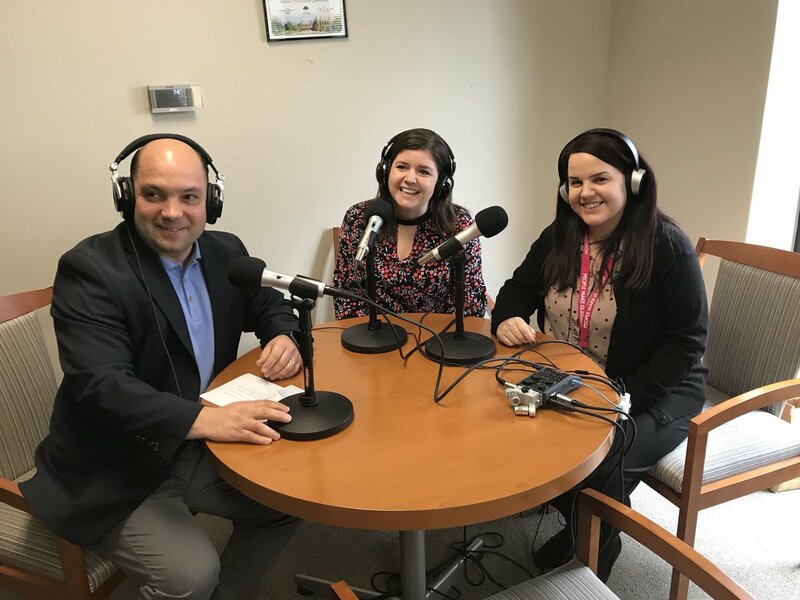 The Open for Business podcast has a simple format, after a brief introduction, the rest is casual conversation focused on the business-owner’s story. A few minutes later, the interview concluded and just like that, the podcast was complete. The rest would be handled by Quintana, including the editing, sound mixing, and publishing. 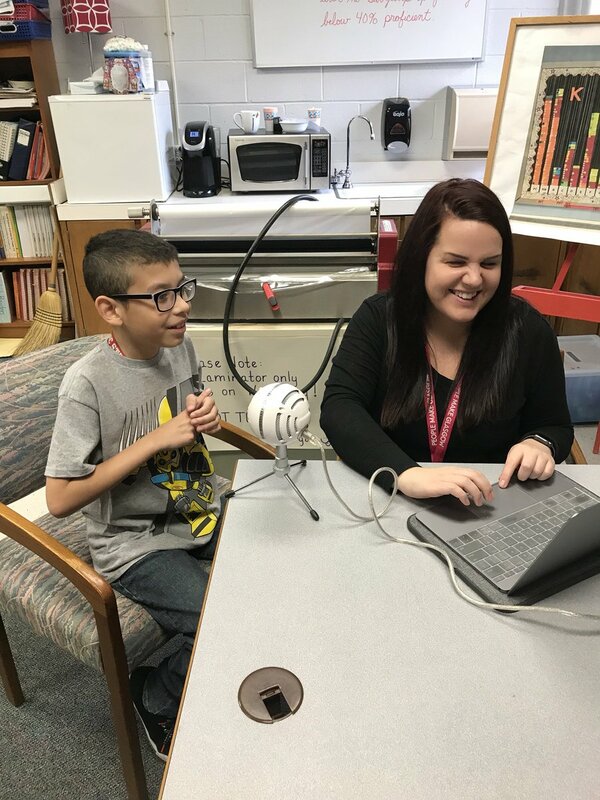 It only took a short time for the inspired Stough team to see that they already had what they needed to start producing podcasts in their classrooms. 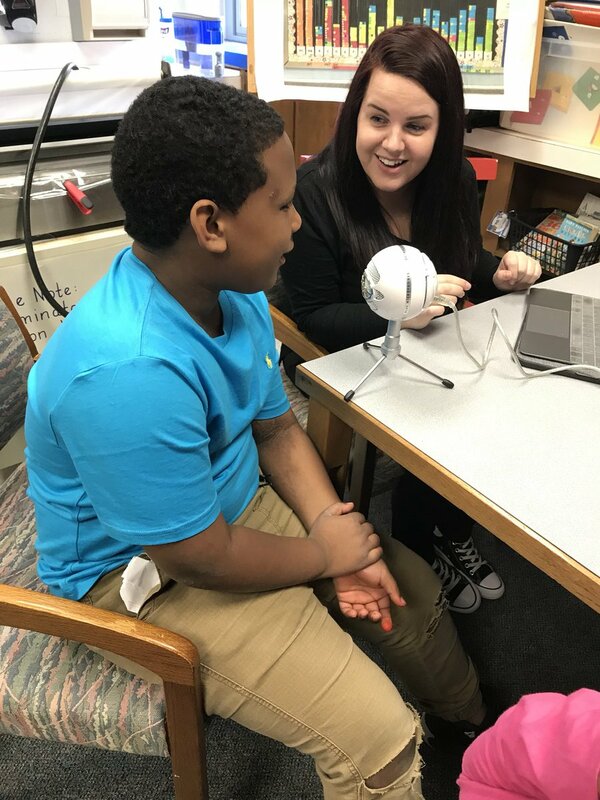 “After seeing this, we were ready to begin our journey to creating our first ever student-led podcast.” The Stough staff left that experience excited and ready to get to work. Researching Global Foods for "Boarding Pass"
“First up, we needed a group of students who we felt would benefit from gaining communication skills, literacy comprehension strategies, and awareness of global issues.” Once these students were identified, their first task was to give the podcast a name. Not long passed before they had students speaking into a microphone connected to a laptop, and the Stough Boarding Pass podcast was born. In their very first podcast, Stough’s “Boarding Pass” hosts explored cuisines from China, Italy, and other parts of the world! That’s the real influence of programs like Link. 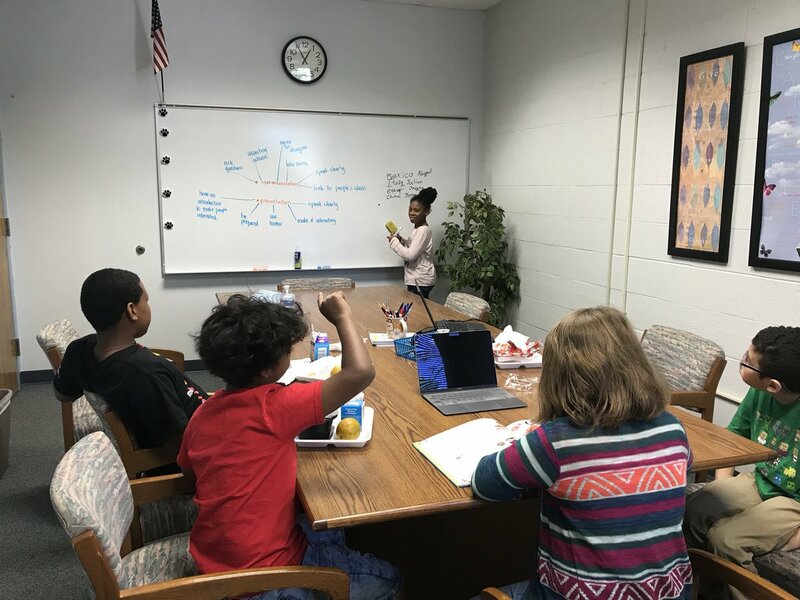 Teachers and schools are inspired to engage their students in new and innovative ways – and just a little expert advice, a helping hand, or a brief demonstration is all it takes to enable instructional innovation in our community. See more successful Link projects here.